Irish farming and food will confront two fundamental challenges in 2019: the first is to ensure that Brexit does not damage the integrity of the two industries, the second is that of seeking a successful outcome to the ongoing review of the Common Agricultural Policy (CAP). Richard Halleron writes. Ireland did not ask for Brexit, but the unfortunate fact remains that Irish farming and food could be the biggest causalities of the process, no matter what final deal is arrived at. Challenging times call for a more innovative approach to policy making. It is for this reason that the inability of those involved with the Irish Farmers’ Association (IFA) to think outside the box can be truly perplexing at times. The organisation in question would never be expected to solve the conundrum that is Brexit, but surely it should be able to come up with the odd suggestion that would have a directly beneficial impact on the business prospects for Irish farmers. We all know that future trade terms with the UK will be critically important for all sectors of Irish agriculture moving forward. What’s already obvious in this regard is that multiple British retailers are keen to highlight the indigenous provenance of the food they are selling. With this in mind, they have strongly latched on to the Red Tractor farm quality assurance scheme as the means by which this can be achieved. In fact, recent weeks have seen those involved with Red Tractor pushing to have the extent of its scope and influence widened further. Why has the IFA not been calling for UK food retailers to officially recognise the equivalence of Bord Bia’s Origin Green traceability scheme, where all aspects of food quality assurance are concerned? Irrespective of what final Brexit deal is arrived at, Britain will remain heavily dependent on food imports. Moreover, if Red Tractor and Origin Green were both put on the same official footing, it would deliver a wide range of benefits to Irish agriculture. In the first instance, beef producers in Ireland would fully benefit from the Angus and Hereford incentive schemes now operating in the UK. It would also serve to solve the problem of store cattle born in the Republic of Ireland losing their identity as soon as they cross the border into Northern Ireland for further finishing. Recent years have seen the dwindling of cross border live exports, which has been to the total detriment of farmers and marts south of the border. However, the securing of Red Tractor equivalence would allow UK food retailers to market Irish food on the same footing as that produced in the UK. Getting a Red Tractor deal over the line would be a two-part process: agreeing the principle and then working out if both schemes are singing off the same hymn sheet. Who knows what, when the technology guys get together it may well turn out that Red Tractor could learn from Origin Green? If we don’t ask, then we will never know the answers to any of these questions, and that may well be to the detriment of Irish agriculture. The CAP deal is all about money. Irish farmers must not be penalised by spurious claims from Brussels that budgets are tight. The farm support budget has been held constant for the past five years. In reality, the single payment made available to Irish farmers in 2019 was worth less in real terms than was the case back in 2015. So, if the budget is frozen for the period 2020 to 2025, farmers will be worse off again by some considerable measure. Talk that Brussels will be financially holed under the water line in the wake of the UK leaving the EU is a smoke screen. The reality is that European farmers need more support, not less. Incomes are almost at breaking point now, a further reduction in income will put many Irish farming business over the wedge. If Brussels does not have the money to adequately fund agriculture into the future, then individual member states should be given the flexibility to introduce their own top-up payments. Market prices are driven by a combination of international factors and the buying practises of Europe’s supermarkets. For its part, the EU does not have control to buck market trends and it does not seem to have the inclination of bringing the food retailers into line. This leaves enhanced support measures as the only real option of ensuring the sustainability of farming into the future. There is also an onus on Brussels to ensure that future support monies genuinely go to active farmers – in other words those people who actually produce food. Scope should also be provided to allow the future expansion of food production in countries like Ireland. 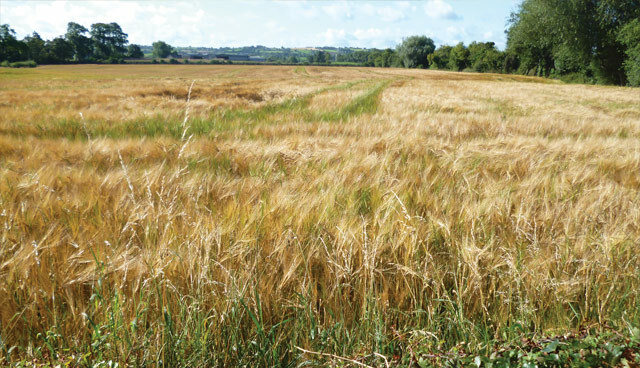 At the time of the last CAP review, Ireland’s then Minister for Agriculture, Food and the Marine, Simon Coveney TD, projected a future for farming across Europe based on the principle of ‘sustainable intensification’. In essence, he was using this argument to justify the projected 50 per cent increase in Irish milk output agreed under Harvest 2020, but the principle is a sound one. A significant increase in soil testing rates plus the effective use of lime as a means of improving soil quality could quite easily bring about a revolution in Irish food output. Moreover, this would be achieved without impacting on the environmental and conservation targets which Brussels has, quite rightly, identified as key priorities for European agriculture. EU Commissioner for Agriculture and Rural Development, Phil Hogan, has often referred to the need for a proper balance to be brought to bear within Europe’s farming and food chain. He’s right, but to make this happen will require farmers getting a larger proportion of the monies coming into the industry at the retail end. There has been repeated discussion over many years regarding the appointment of a Food Ombudsman. This person would have real powers to investigate the buying policies of the supermarkets and to act, when necessary, to ensure that primary producers got a fair crack of the whip. The time for talking on this matter is over. Last December saw the EU Commission publish enhanced rules regarding unfair trading practises within the farming and food chain, but this is merely a first step in the right direction. Courtesy of the upcoming CAP review, Brussels has the perfect opportunity to take real the action it has been promising for a long time in order to safeguard the interests of farmers. The powers-that-be within the EU should also tell consumers that Europe’s farmers do not do cheap food. They produce food of the highest quality and this comes at a cost. The last four decades have seen Irish farmers and their EU counterparts compete in a contest, which they could never win. It’s impossible to deliver on issues such as food quality and traceability without farmers getting some recognition for the investment they have made in making this a reality. Again, the ongoing CAP review is the delivery vehicle which can change this fundamental imbalance.